November, 2014. Canyon presented new intangible earphones. The wires of the device are hidden into the “zipper cable” which makes the earphones useful for active young people who are always on the move. It is easy to store, transport and use this earphone without being frustrated by tangled cord. Fresh and modern colours will fill your traveling with emotions. 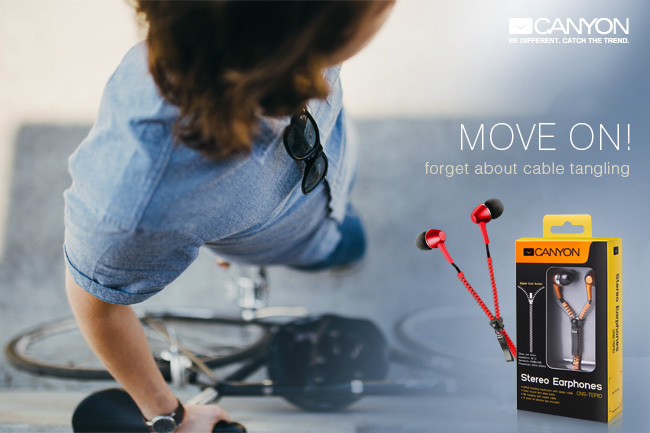 The Zipper сable earphones by Canyon are perfect both for trendsetters and for those who enjoy having the latest tech gear.